SWING 1 is a sit-in inflatable kayak great for relaxing trips on sheltered waters, harbours, lakes and rivers up to Gr. 2 white water. The kayak is supplied with two aluminium reinforcements for improved rigidity of the hull, maneuverability and stability. The reinforcements also shape the deck of the kayak. Thanks to its low weight the kayak is perfect for trips with frequent portages. The enclosed deck prevents water getting in. 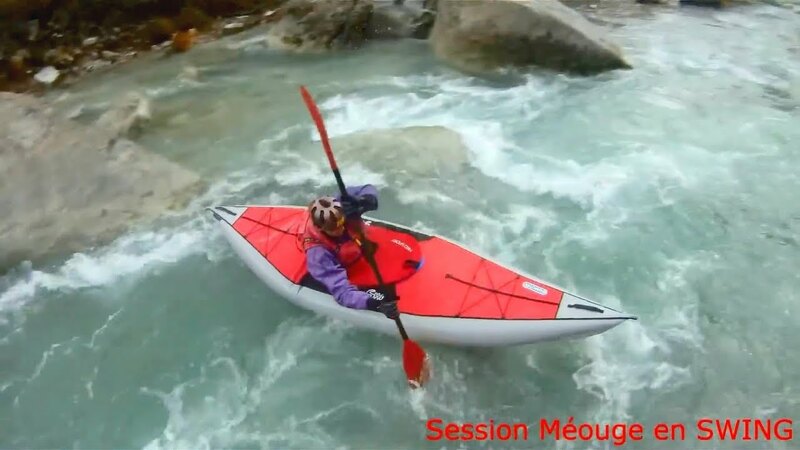 The kayak is available in a single and a double version.